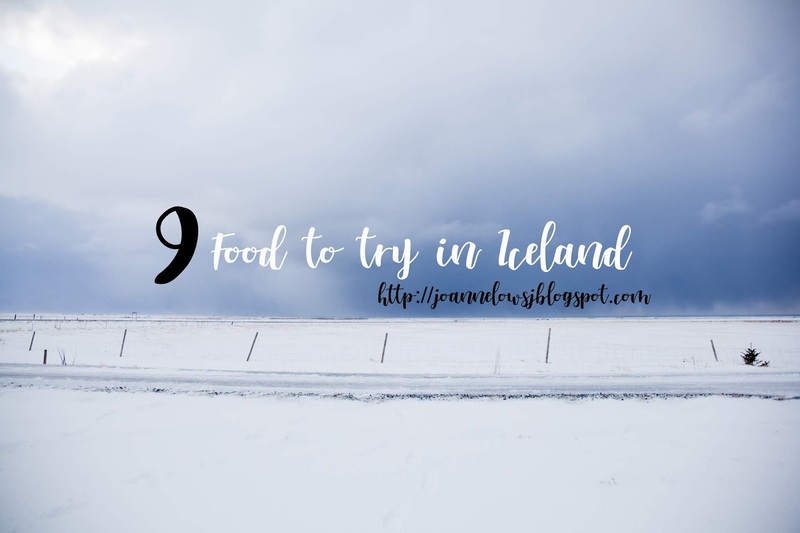 Home #foreverhungry Europe iceland iceland itinerary self drive in iceland things to do in iceland tips for self drive in iceland winter in iceland Iceland - Food to try when you are in Iceland! Skyr is Icelandic yogurt and my absolute favourite. It taste similar to Greek yogurt but the flavour is milder and not as thick. There are many brands available in the supermarket and my favourite is Isey Skyr. There are many flavours and my favourite got to be crème brulee. It is so good that I brought some back home and share it with my favourite people. Langoustine is the best thing I had when I was in Iceland. The Icelandic Langoustine is tender and delicious! Although I a little pricy, it is worth it. Anyway, Lobster in Singapore isn’t very affordable. We tried Langoustine in Hofn and it was a memorable dinner. Fishing is the largest export in the country and economic driver for years. This also meant that the fish they catch is fresh and delicious. Instead of ordering what’s in the menu, give the catch of the day a try. The fish was caught earlier that day. 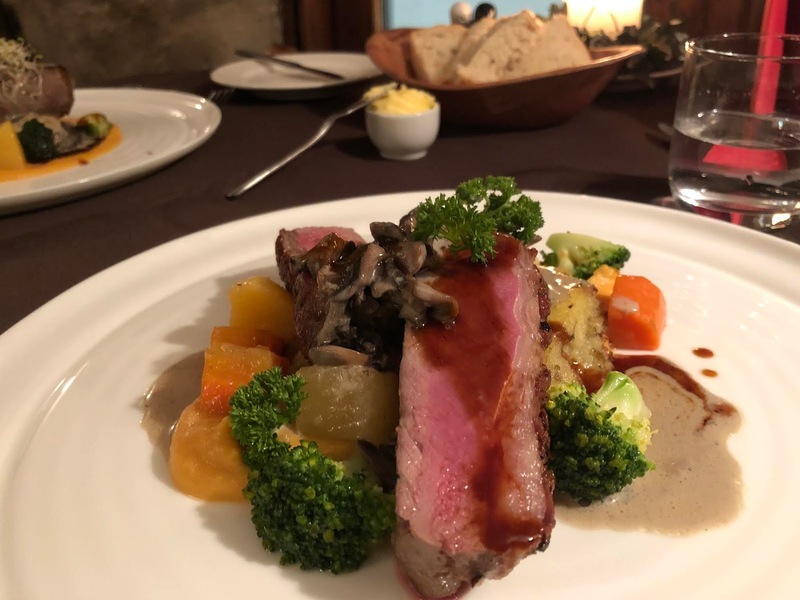 We tried the catch of the day while in Hofn and were not disappointed with it. Served with cream & buttery sauce, it was superb! Lambs in Iceland are roam freely outdoor from Spring to Autumn. Thus, their diet is natural and fed on grass and berries. It is often Iceland’s finest and most often used ingredients. IT is also very often feature in Christmas dinner and celebration. Thus, be sure to try these lambs! Not a lamb lover but the meat we had is really tender and juicy. Although the only thing that stop me from having them is the gamey smell in lamb. The most popular hot dog in Reykjavik is definitely Bæjarins Beztu Pylsur. They have been in business for more than 60 years. The hotdog is made from a blend of beef, lamb and pork. We order it with everything which includes – deep fried onion, raw onion and sweet brown mustard. We were lucky that there were no queue (went there at odd hours – 4pm). The serve size is not very big, so if you are very hungry, be sure to grab 2. & yes, they accept credit card. The cream cheese spread we had back home is usually plain. Thus, when we saw cream cheese with bacon & Mushroom, we grab them to try! Although there are no huge chunk of bacon bits in the spread, I could still taste the bacon. It is available in most supermarket and guesthouse we stayed in. Some other items that was on our list but we end up didn’t try are the Rye Bread, Lamb Stew and Fermented Shark. Rúgbrauð also known as Rye Bread is Iceland traditional staple cuisine. The bread is baked or steam in wooden cask which have been buried in the ground near a hot spring. It is said to be sweet and dense. We saw some of it sold in supermarket but end up didn’t buy because it smell like Hua kueh (Asian traditional brown cake) to us. Plus, it comes in a pretty big piece. The lamb in Iceland probably don’t need another introduction. One that that is on the list of all food lover is Lamb Stew. It is said to be hearty, rich and flavourful. It is a concocation of lamb and vegetables meat soup. We give it a missed after trying out the lamb steak. Not a fan of gamey smell in lamb. Fermented shark in Iceland is one of the traditional food that Icelander had in the past. As access to food was limited, Icelandic folks will survive the winter with fermented shark meat. The shark meat was buried, dried, smoked it and picked it, left it out to dry for weeks and soaked by different method. Today even the local don’t really eat much fermented shark. We gave it a miss since reviews online was saying it taste a little pungent and the fermentation process put me off.